More often than not, content is reviewed by a team of people not just a single individual. Groups of reviewers may have different perspectives on how content should be revised. It’s a good idea, both as a content uploader soliciting feedback and a reviewer providing feedback, to be conscientious that your comments are clear, helpful, and conducive to moving the project forward to your shared goal. If you’re the content uploader and you’re sending the asset to several reviewers, it’s often because they have different areas of expertise that you want to draw from. It can be helpful to your reviewers to let them know if there are specific parts of the content that you want them to give their attention to or if you’re looking for them to provide a certain perspective. For instance, if you’re including your customer support lead on an email newsletter review because you want to be sure that the contact info is accurate, let them know that’s what you need so they don’t provide feedback on other areas that may not be needed. As a reviewer it’s often useful to provide explanations for your change requests – not only to let the content creator know what your goal for the change is but also to let other reviewers of the asset who may disagree with your change request know what your reasoning was. This will cut down on conflicting edit requests, or at least will enable your content creator to make a more informed decision about which requests to honor. The term “echo chamber” refers to a group sharing identical or similar comments, which results in a set of redundant and often counter-productive information. If you’re reviewing an asset and a fellow reviewer has already requested an edit you also think is needed, resist the urge to add a “me too” comment. Unless you are requiring or looking for consensus, you can end up making your content creator feel piled on. 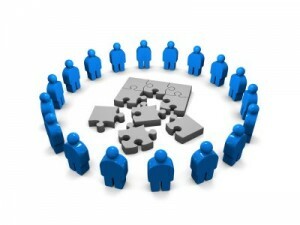 Often in group reviews, different people are included for their different areas of expertise. If you know that a proof reader is always included in the review of your email newsletter, avoid correcting spelling and grammar. It can lead to the echo chamber described in #3 and can make your team members feel like they’re being made obsolete. When using inMotion for your approval process, reviewers are able not only to leave their own markups but also to make comments on previous reviewers’ markups. We call this feature Comment-to-Comment, and you may need to ask your account admin to enable it. Comment-to-comment has been invaluable for our customers doing collaborative reviews who need their reviewers to be able to discuss change requests inside of the application. What are some challenges your team has faced in managing collaborative reviews?